Staff from the Mercedes and Sauber Formula One teams, the FIA and Pirelli were all on the wrong end of “threatening situation[s]” during the Brazilian Grand Prix weekend, causing a tire test in Brazil to get canceled and the FIA to call for an evaluation of F1’s security procedures at race tracks. The FIA has requested that reports be collated by the Commercial Rights Holder (Formula 1) concerning the incidents and presented to the members of the World Motor Sport Council at its next meeting on 6 December. In the continued spirit of positive collaboration with Formula 1, the Council will then discuss the ways in which a more consistent and effective security procedure can be applied at all events of the FIA Formula One World Championship. The findings will also be shared with other FIA championship organisers to maximise the positive impact this can have across all motor sport. Security is a cooperative effort, and the FIA will seek to work closely with Formula 1 and all its stakeholders to maintain a safe environment for everyone working at or visiting Formula 1 events. In Brazil earlier this month, part of the Mercedes F1 team was held at gunpoint in a robbery while leaving the track after Friday’s practice sessions. A Mercedes spokesperson said things were stolen from the staff members, but that no one was hurt in the robbery. Other reports said FIA staff members were in a vehicle with bulletproof glass in Brazil when someone tapped a gun on the window. A car with Williams F1 team employees in it was behind the FIA vehicle, reports said, and a person with a gun approached it. Both vehicles got away. ESPN reported after the race weekend that staffers from the Sauber F1 team encountered a “threatening situation” while leaving the Interlagos circuit in Brazil, and Pirelli had a run-in that led to the cancelation of its Brazil tire test later that week. 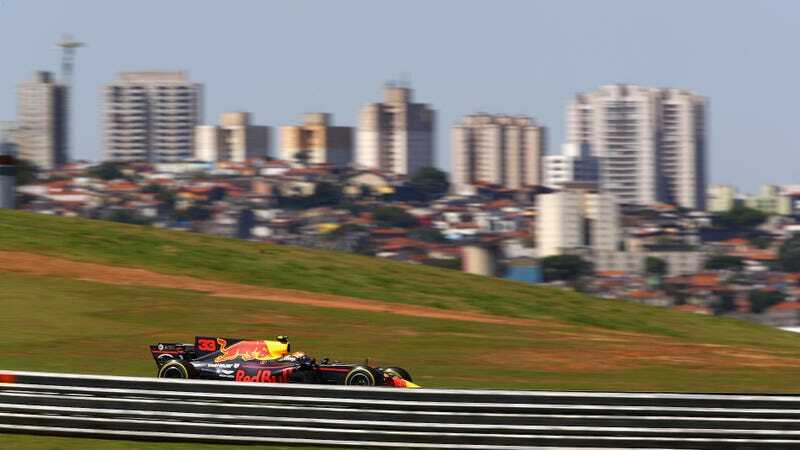 The test was for tire compounds, and was canceled “due to security fears” after an attempted robbery on a Pirelli van while it was leaving Interlagos on Sunday. “People need to be looked after,” Hamilton said, and maybe this big meeting next month will do something about that.